With Moon Morocco's practical advice and local know-how, you can plan your trip your way. Having spent the better part of ten years living in different parts of Europe and the U.S., Lucas M. Peters thought it was time for a change. In 2009, he took a job in Morocco teaching literature and composition at a college in a small town atop the Middle Atlas Mountains outside of Fez. When his plane landed he found that all of his luggage was lost. Two weeks later his luggage was returned, but Lucas had already had to shop at the local markets for food, clothing and other basic necessities without speaking a word of the local dialect. His unexpected immersion in Moroccan life made him fall in love with the country. 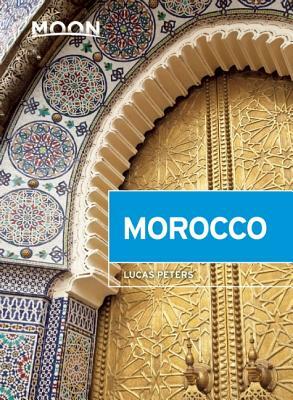 Over the next six years, Lucas traveled throughout Morocco, from the date groves of the Sahara to the fishing villages along the Atlantic Coast. He's dined at Rick's Café in Casablanca, caught a ride on the Marrakesh Express, gotten lost in the labyrinthine maze of the Fez medina, and followed the Beats in Tangier. Along the way, he picked up some of the language, made a few friends, and married his wife, a Tanjaioua from Tangier. Today, Lucas lives in Paris with his wife and son. Together, they continue to explore Morocco: the small towns dotting the national roads, the difficult-to-access mountain villages, and tucked-away beaches.